You Must Be Confused.., 2018, digital print with screen-print, L440 x W440mm. You Want To Be A Gay Man?, 2018, digital print with screen-print, L440 x W440mm. Who Cares Anyway?, 2017, digital print with screen-print, L440 x W440mm. How Do You Know?, 2017, digital print with screen-print, L440 x W440mm. 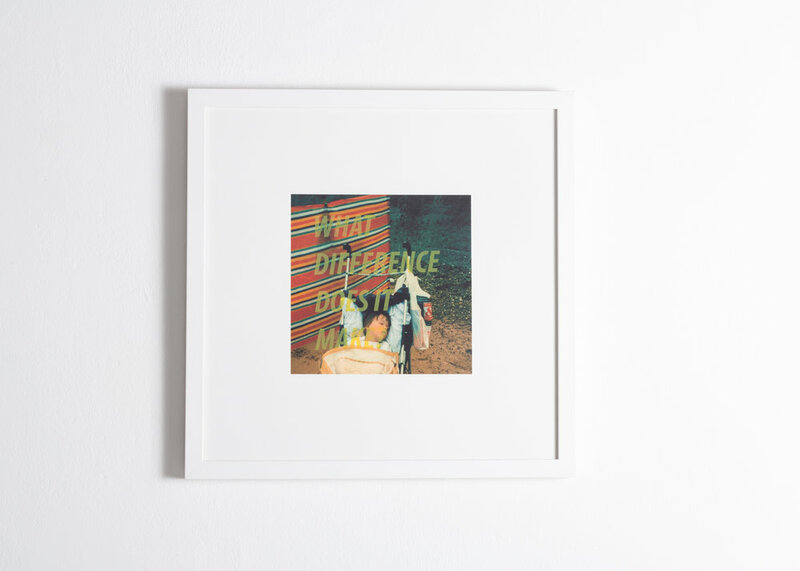 What Difference Does It Make?, 2017, digital print with screen-print, L440 x W440mm. People Like You, 2017, digital print with screen-print, L440 x W440mm. 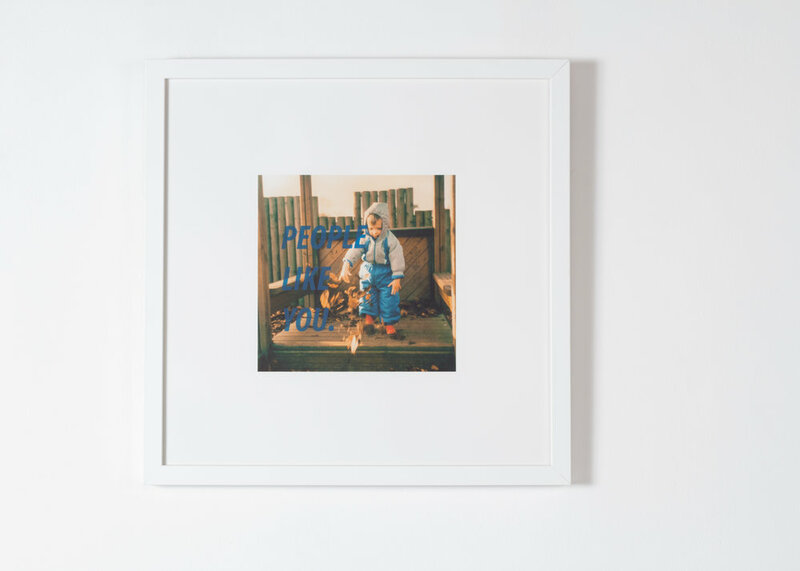 Developed out of a need to process old memories, this deeply personal series of prints brings together fragmented quotes with reproduced photographs of the artist’s childhood, exploring the impact that these words have had on his life. Each image has been carefully selected, along with each corresponding quote from somebody during his transition, in order to play with the balance between happy childhood memory and the much harsher reality of living as a transgender adult today. This balance also highlights the absurdity of the quotes, as questions of gender exploration would not be asked to a child at such an age, but oddly seems acceptable as you get older. 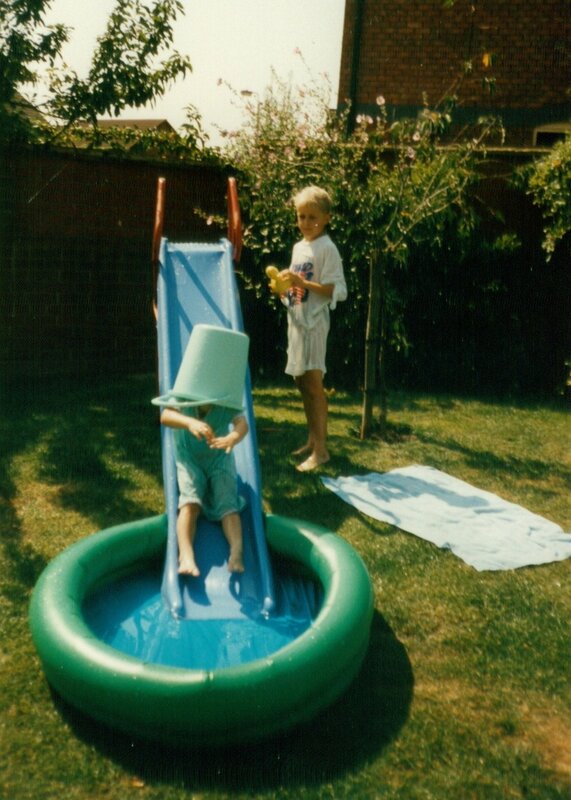 When considering the artists intentions to present childhood images of throwing leaves or playing with a bucket on his head in response to the quotes, this series seems to have a more playful edge, suggesting that such words require a similar childlike response.